We developed our Ultimate Vegan Moringa Capsules to respond to the demand from our loyal Vegan customers. It is our exclusive 100% pure Moringa Ultimate leaf powder in a Vegan capsule. There are so many amazing gains to be had from adding Moringa into your life and the capsules are the most convenient way. All the vitamins, minerals, antioxidants and amino acids of the 100% pure moringa powder of the miracle tree are packed into an easy to use pill form. Moringa Ultimate Vegan Capsules are perfect way to start your day without caffeine. Just take some capsules with your breakfast. They also make it easy to get an on-the-go post lunch pick-me-up. Moringa leaf powder is basically nature’s multi-vitamin and it’s well-known for being rich in Iron which keeps your energy levels up. We only use the finest Moringa leaves found on trees grown in tropical mountain regions and we developed an industry-leading process to make sure that the leaves are picked, dried and packaged within 8 hours. Our far-infrared drying system gets the Moringa powder as dry as currently possible. The Vegan Capsules are filled and packaged into our special three-layer packaging that completely prevents any exposure to oxygen and light. We add in a special oxygen absorber to ensure they arrive fresh on your doorstep every time. 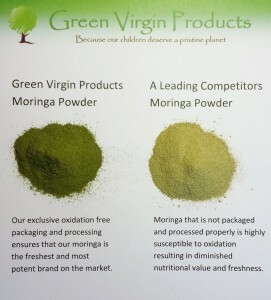 At Green Virgin Products, we have always looked for ways to share our love of Moringa powder with the world. To that end, we always pay for shipping on orders over $50 and we have a 90-day return policy if you are not happy for any reason. On top of that, you can use coupon code: 10off – for a special 10% discount on your next order on our site. 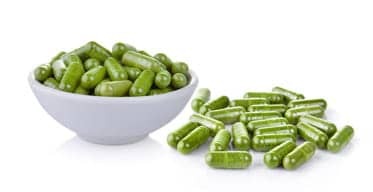 These Moringa Capsules are 100% Vegan. The only difference between the Vegan Capsules and the Gel Caps is the capsule itself. The gel caps are made of gelatin which is a beef product and the vegan capsules are made of 100% vegetable cellulose. Recommended daily dose is 2-4 grams per day. 5 capsules are equal to 2 grams. To see a list of all the nutrients in our moringa click here. Our Vegan Moringa Capsules were made special for our vegan customers that wanted an easy way to add moringa powder into their life! These special vegan capsules bring the array of perks from the miracle tree into the most convenient option available. With just a few capsules a day, you’ll be doing your body a huge favor. Moringa has been proven time and time again to offer more nutrients, vitamins, minerals, and amino acids than any other food, while delivering numerous other natural boosts to your immune system and energy. 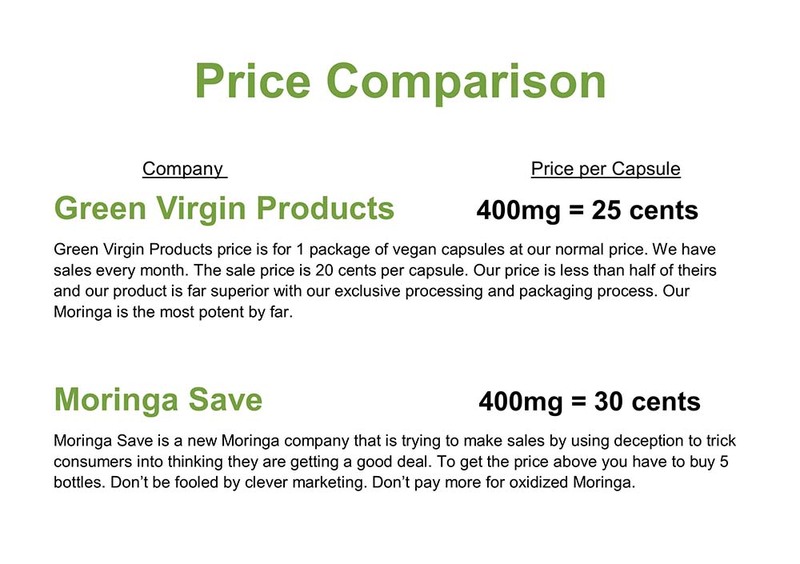 -All the health and wellness power of moringa in convenient vegan capsules! -Our special moringa ultimate packaging insures our vegan capsules will be fresh and potent.